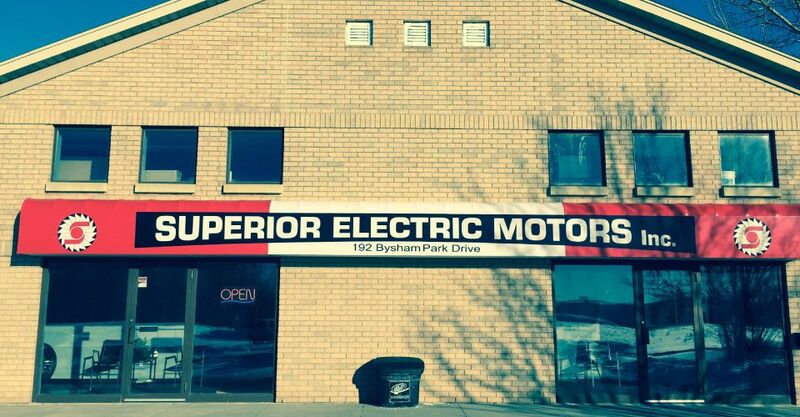 Come in to Superior Electric Motors today for all your electric motor needs! We repair electric motors and pumps to Woodstock, ON and the surrounding areas. We also sell new and rebuilt motors, belts and pulleys and much more. Whether you need repairs, maintenance, or rebuilding services, Superior Electric Motors Inc is proud to offer our services to factories, industrial facilities, the agricultural sector, and businesses. We’re also always happy to see residential customers who come in for repairs on pool pumps, furnace fans, and more. Superior Electric Motors has been locally-owned and -operated for over 15 years, and continues to offer competitive prices and friendly service to every customer. We have 50 years of experience on the shop floor that we can bring to your project. We treat everyone fairly and offer good value for your money. we offer you comprehensive services that you can always rely on. Excellent Motor Repair for Woodstock. We offer the services you need to get the job done. Our specialties include repair and sales, our 24/7 emergency service, custom design work, and spa and pool pump repairs.